Illinois has 39 snake species within its boundaries, but the majority live in the warmer southern region of the state. Snakes in North Illinois generally contend with colder temperatures than their Southern Illinois counterparts. Some of these Midwestern snakes are threatened due to urban growth (in the Chicago and Rockford areas, for example) and more general habitat loss or alteration. Water snakes aren’t the only aquatic or semiaquatic serpents native to North Illinois, incidentally: For example, two kinds of crayfish snake – the queen snake and Graham’s crayfish snake – inhabit some of the region’s waterways, while garter snakes also readily forage around wetlands and streams. 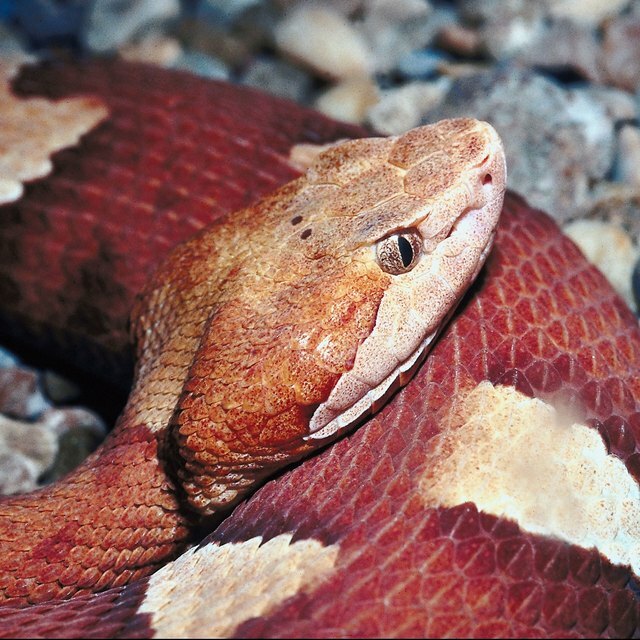 According to the Illinois Department of Natural Resources, Illinois hosts four venomous snake species: the cottonmouth, copperhead, timber rattlesnake and eastern massasauga. Of these, only the two rattlesnakes – the timber rattler and massasauga – may inhabit North Illinois, though they're extremely rare in this part of the state. The massasauga, which resides along rivers and in marshes and swamps, is listed as endangered in Illinois; the timber rattlesnake is threatened. 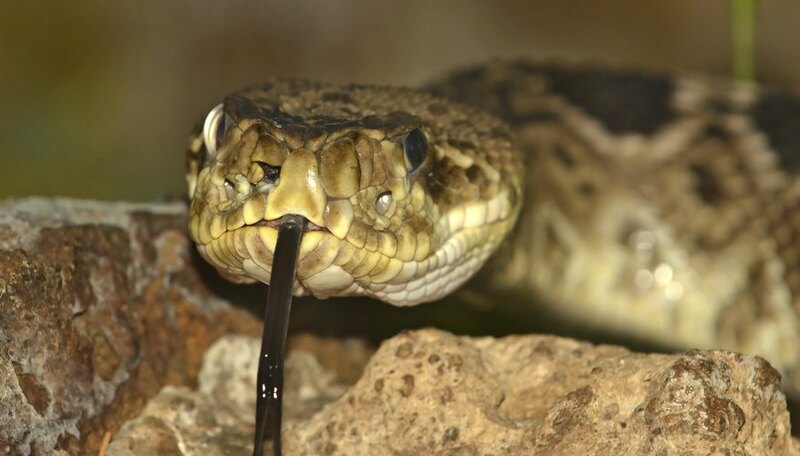 All of Illinois' venomous snake are pit vipers; they received this name due to the physical “pit” between the snakes' eyes and nostrils, which serves as a sensory organ. Venomous snakes kill their prey by biting them with their fangs, which contain paralyzing venom. Certain snake species have a higher degree of cold tolerance than other snakes. This means they are able to withstand colder temperatures; thus, these snakes do not have to hibernate as long as other snake species. Illinois' two garter snakes – the plains garter snake and common garter snake – belong to this category: These species often break up their winter hibernation by basking outside in warm, sunny weather, and tend to emerge early in the spring..
Davis, Skip. "Snakes Found in Northern Illinois." Sciencing, https://sciencing.com/snakes-found-northern-illinois-8390898.html. 10 April 2018.